The Clubhouse Indoor Golf will bring year round golf to Peoria, Illinois. Currently if you look outside its about 0 degrees and all the golf courses have 3 inches of snow on them. Is anyone else getting the itch to hit some balls? Try out that new driver you got for Christmas? Or just check your angles, get a lesson with a pro, and maybe have a quick range session? The Clubhouse will help satisfy that drive to become a better golfer or just have some fun with friends and throw back a few barley sodas in the process. 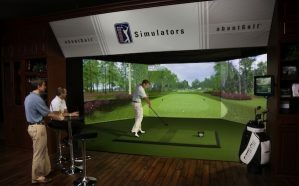 At the end of 2017, I had an idea to start a free standing bar/restaurant with 3-4 golf simulators, but I quickly found out that simulators only would not satisfy a business plan. And guess what, I have no idea how to run a bar/restaurant. Plus I love my job at ServiceMaster and plan to keep working there as long as I can! After asking some colleagues and friends we finally realized that the way to make this work was to partner with an existing business to strengthen their already prosperous business plan. Enter The Country Club BBQ. On behalf of investors, business partners, and CCBBQ employees I invite you to try our golf simulators in 2018. We will have the simulators open year round (hot or cold, windy or calm). This venture is also a chance for the Peoria area to take advantage of the best club-fitting and professional instruction available. If you have ever been to a Hot Stix, Cool Clubs, or Club Champion, think of The Clubhouse as a “scaled down” version of that with great food and drink specials available. We will start off being a full Callaway Golf retailer and club-fitting outfit by partnering with Illini Golf Headquarters. 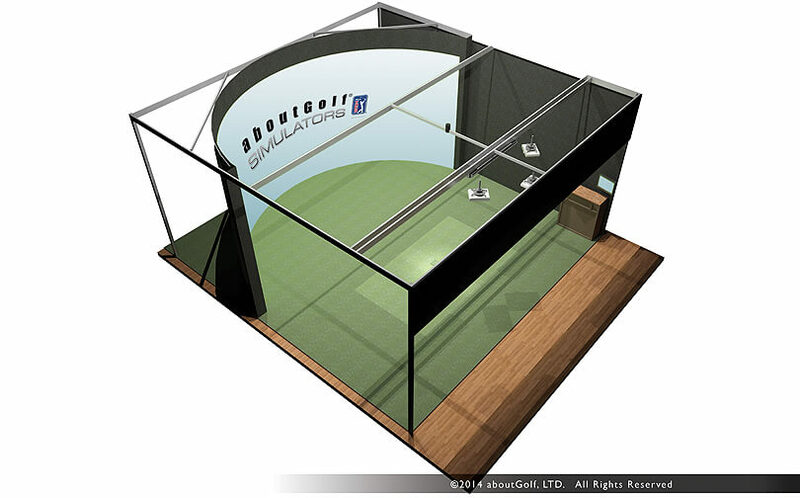 In the future we will look to expand our club-fitting to other companies. We also have some of the best Professional Instructors in Central Illinois on retainer to offer golf lessons. If you are looking for lessons, you are welcome to call The Clubhouse 309-424-6802 and we will be happy to pair you with an appropriate PGA Professional based on your abilities, goals, and lesson package. I’d like to thank everyone who has guided our decisions and hope you will try out indoor golf in 2018 and the future. Happy golfing!